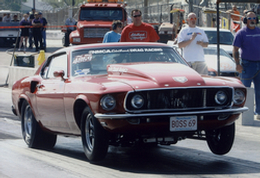 Xtreme Street Racer Jack Pereira joins BTR team! 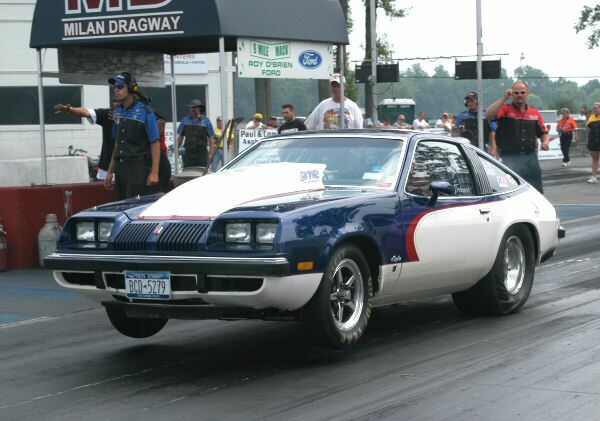 BTR Performance is excited to announce that the National Muscle Car Association's Xtreme Street's Jack Pereira has decided to join the BTR team! 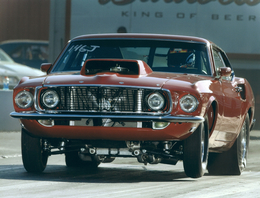 His red 69 Mach is as beautiful as they get, and it's performance in 08' will be quite a bit different from 2007. Expect to see Jack's name i n the upper half of the Xtreme Street ladder. 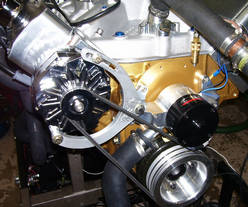 BTR has designed and constructed several pump gas 496 inch Big Block Olds projects in the past several years. These combinations have successfully shown incredible power in the lower rpm ranges which is desirable especially in street applications. Depending on the particular build, torque numbers have been a high as 660 ft. lbs at 4200 rpm with 600+ ft. lbs as low as 3000rpm! 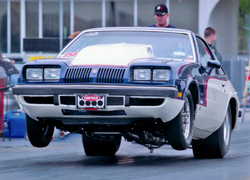 Bill Trovato of BTR Performance, armed with his Edelbrock Nitrous System, Small Block Oldsmobile powered Starfire has completed his first year in NMCA's Extreme Street Class. 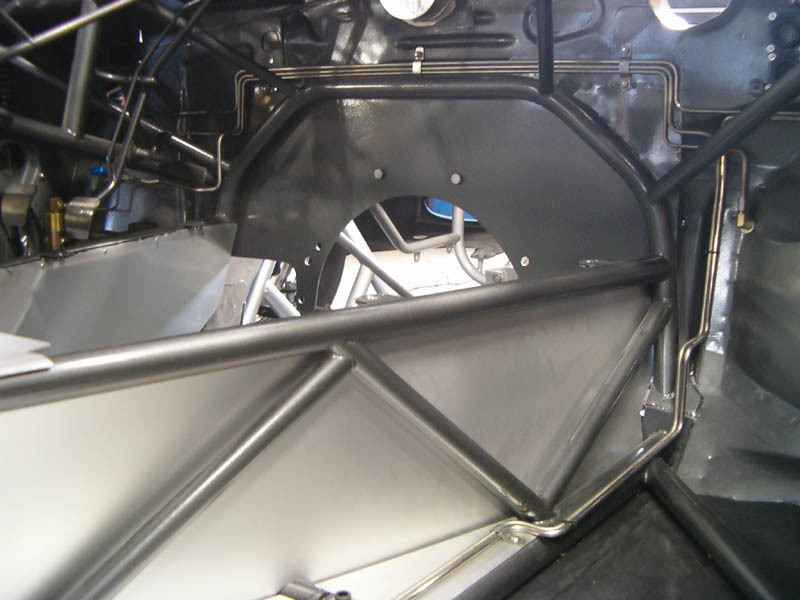 Bill stated at the beginning of the 2007 season: "Running a 98 inch wheelbase car without wheelie bars isn't going to be easy to figure out." "I'll be happy just to finish the season without ruining the car" During the season, the Starfire qualified in the top of the ladder all season without fail, and came out unscathed. "It took damn near most of the racing season to get comfortable to lean on it." "2007 was a conservative year, 2008 will be different!" Bill Trovato in the BTR Performance Olds Starfire made his Debut Performance over the weekend in the NMCA Series Extreme Street Class. With a variety of new challenges to overcome and sort out, the initial results were outstanding. Bill Qualified #2 in a field of 23 cars with a stout 8.29 ET. Armed with a slightly different version of the old Small Block Oldsmobile with a new Edelbrock Fogger system, it certainly is an oddball in the class filled with Chevy's and Blown Fords. During Eliminations, Bill progressed through several rounds of eliminations and eventually lost in the Quarter Finals with a tire spinning pass that left him a bit short..
Bob Curran also brought out his Corvette with the a new BTR Bullet!! First time out with the new combination, carrying an extra 100 pounds since last year, Bob went an 8.26 ET on only a 36 Nitrous Pill!! This is just on the beginning of the starting curve! Watch out!! Be sure to follow the series as it progresses through the as it issue to be an exciting season as the the historically lethal BTR Combination is sorted out. 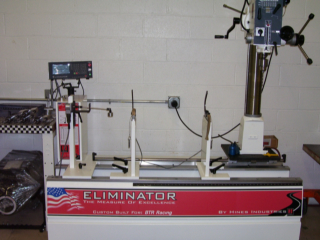 BTR Performance has recently added to it's portfolio of machining capabilities. A new Hines Dynamic Spin Balancer has been added to it's extensive equipment list. This further expands BTR's ability which helps guarantee the job can be completed quickly, efficiently and most importantly, correctly!! All intended to help you meet your project goals from both a performance perspective as well as budget! engine rotating assembly in house!!! Additionally, the capability exists to balance anything that can be imaged.. Harmonic Balancers, Flywheels, Flexplates..... This addition helps make BTR Performance your one stop shop for your total Performance Solution!! 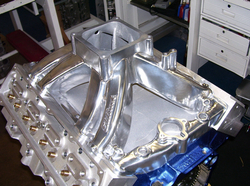 HP Enterprises applied their plumbing art to the New BTR Small Block Oldsmobile. The capabilities, planning and expertise that HP Enterprises puts into these plumbing jobs makes the installations neat, safe, compact and cost effective. Induction Intercoolers and not to mention wild industrial applications. Follow the link on the image above to get contact information for HP. Ask for the famous Todd Pimm (TP) for all your plumbing needs!